Playson’s classic Fruits & Clovers: 20 Lines brings an extra element of luck to the table with the four-leaf clover joining classic fruit symbols and retro symbols like the lucky red seven. Playson have given this retro theme an attractively modern look, with realistic graphics, a slick green and gold design, and very smooth gameplay. 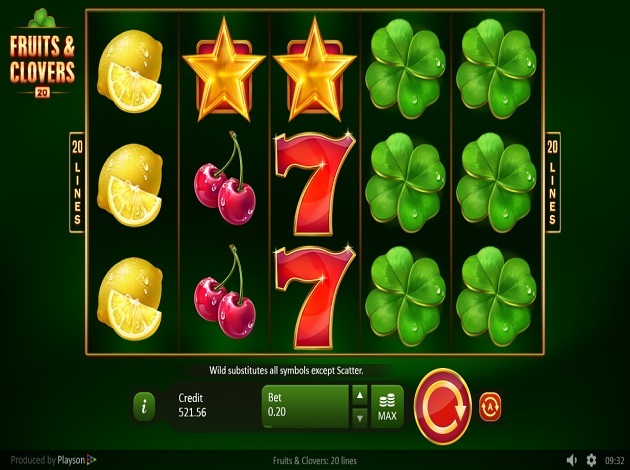 Fruits & Clovers: 20 Lines is a five-reel, three-row slot with 20 active paylines. This Playson slot is a medium volatility game, so you can expect the perfect balance between win frequency and win size. 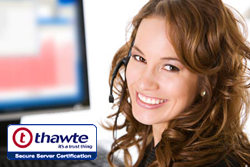 The RTP rate is also very attractive at 96.51%. Features include symbol stacks, a scatter symbol, and a wild symbol that can appear as a stacked wild as well. You can play Fruits & Clovers: 20 Lines from just € 0.2 per spin, whilst the maximum bet is € 100 per spin. The four-leaf clover is a special symbol in this fruity slot as it’s wild for all symbols except for the scatter, which is represented by a shining golden star. The scatter symbol doesn’t trigger any bonus round, but it pays anywhere on the reels, even outside of the fixed paylines! The rest of the symbols include the classic red seven symbol, and a mix of fruit symbols like watermelons, grapes, oranges, lemons, and red cherries. There are no free spins in Fruits & Clovers, but don’t let this deter you from spinning the colourful reels of this slot, as the mixture of lucky symbols and generous payouts are enough to make this slot worth checking out. The scatter might not lead to a bonus round, but with a maximum payout of 400x your bet for five symbols anywhere on the reels, it’s certainly a very special symbol! For three scatters, you get a prize of 5x your bet. Next in line is the wild four-leaf clover, which pay outs between 2.5x and 75x your bet. The seven is also a high-paying symbol, worth between 1x and 18x your bet. The lowest wins come from the bright fruits. The watermelon and the grapes offer the best payouts, as these will multiply your bet by at least 1x and up to 8x. The oranges, lemons, and cherries are all equal value symbols, each worth between 0.5x and 4.5x your bet. You can tell Fruits & Clovers: 20 Lines is a high-quality game when you load it and you’re greeted with attractive colours and beautiful graphics. The fruits are designed with bright colours, a shiny look and little details like water droplets glistening on top of the ripe fruit - they look good enough to eat! The other symbols are designed with an elegant golden outline and shimmer on the reels. The reels themselves are also decorated in a golden outline and are set against a very elegant, plush-looking velvet green background. The look of the game is simple but neat and sharp. Underneath the reels, you’ll find the game panel in a lighter green colour that blends in perfectly with the background. From the information button, you can access the paytable and rules of the game. You can easily adjust your bet here and you can also activate the Max Bet button to automatically spin with the highest bet possible. An Autoplay option is also available in Fruits & Jokers: 20 Lines and the reels will keep on spinning automatically until you stop them yourself. Fruits & Clovers: 20 Lines brings the same smooth, easy gameplay as their other retro-themed slots with the addition of extra lucky symbols to help you bag big wins! This Playson slot might be lacking in fancy bonus features but the paytable, the scatter pays and the stacked wilds are enough to make this an enticing slot worth giving a spin. Spin the reels of Fruits & Clovers: 20 Lines right here at Videoslots.com today! With a staff of over 250 people, stacked with experience from several different sectors, the sky's the limit for what the future will bring. Playson currently offers content for both Flash and HTML5, along with the game design of your choice. A few titles by Playson are Burning Wins, Happy Jungle and Claws vs Paws.